What Kind of Seat Connection? Recent discussions related to diagrams we have posted on the Happy Horse Training facebook group, which illustrate our approach to the development of the rider and the seat's interaction with the horse, have brought to light a fundamental difference in ideology behind the connection that is sought with the horse's movement. Our thinking is based on the premise that, for several reasons (see illustration below) the horse's natural balance is not suitable for carrying a rider, so that as soon as we get in the saddle, we have created an unbalanced dynamic. The natural characteristics of the horse's movement, which make it unbalanced for carrying a rider, can be summed up as (from left to right) carrying weight on the forehand, the hollowing reflex, and counter-bending against the direction of movement when turning. The other major one is innate crookedness, which is individual to each horse in the particular way it manifests. It goes without saying, therefore, that the principle goal of the rider is to re-balance the horse's movement so that it becomes comfortable for both horse and rider, powerful and supple. From our understanding, the only way it is possible to do this is by means of a gymnastic connection between our body and that of the horse. The foundation of this connection is in the adhesive nature of the seat with the movement. This means that the rider's pelvis, in a certain orientation, is able to stay with the whole cycle of the horse's stride, as it manifests in the movement of the back under our seat, and above all during the carrying phase of the stride, when each hindleg steps forwards and lands. 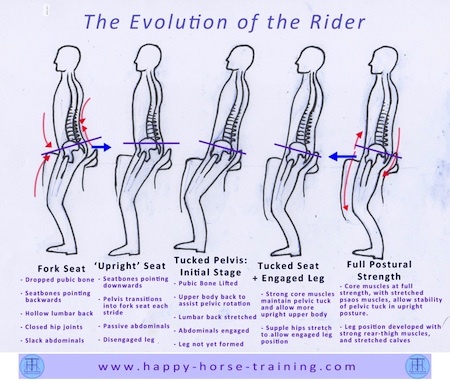 The only way the seat can do this is in a tucked position, so that the seatbones are pointing forwards, and therefore are able to connect with the forwards stretch of the horse's spine when it lifts each stride. In the progression of the rider's development of their seat and postural engagement, the next step is to develop the core muscles in such a way as to start resisting the natural hollowing of the horse's spine during the propulsive phase of the stride, when the each hindleg pushes off (bottom right picture in the diagram above). This has the effect of drawing the action of the hindlegs further under the horse's body mass, which, like a lever pushed under a heavy object, results in a lightening of the weight on the horse's forehand, allowing the rider to be carried in balance. Both the rider's and the horse's development towards this goal is a progressive evolution, which takes place gradually over time. For both horse and rider, achieving this progression is a gymnastic challenge that involves spending time in a position that is not considered 'correct' by most schools of dressage (middle picture in the diagram below). For many riders, this misinformation is an unfortunate barrier to following the path to a real transformation in the dynamic of balance between them and the horse. We have spent almost fifteen years pursuing this progressive approach to riding, and now it seems perfectly logical to us. Even though we work with horses who find such a whole-body transformation challenging because they are not naturally talented dressage horses, and this limits their 'level' of dressage training, we still have received the validation of this approach by the fact that the horses become progressively more supple, more balanced and more powerful in their movement as a result of working in postural engagement. We know that a horse can be taught to perform the most advanced dressage movements in any number of ways which have nothing to do with pure and correct gymnastic development, so this is not a goal that means anything to us in itself. We are confident in the 'proof' of the crystal-clear good feeling that working a horse in engagement gives both us and the horses. However, there is a whole school of dressage thinking, which often puts itself under the banner of 'classical dressage' that has a totally different conception of the connection between horse and rider. It is based on the idea that the rider must surrender to the horse's natural balance, instead of setting out to change it. This manifests in a seat which is tipped onto the front of the pelvis by the horse's movement and natural balance on the forehand. 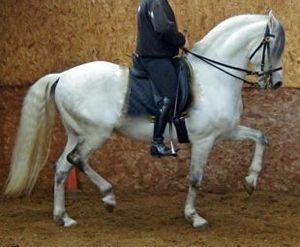 The naturally dominant propulsive phase of the hindlegs in each stride, where the back drops and the pelvis disengages (untucks), draws the rider's seatbones backwards, hollowing the rider's lower back, and pushing the abdomen forwards. 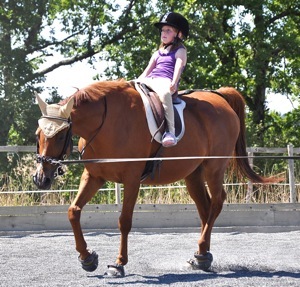 This way of riding is supported by the misunderstanding that following into the horse's natural balancing reflexes equates to a harmonious and relaxed connection with the horse. 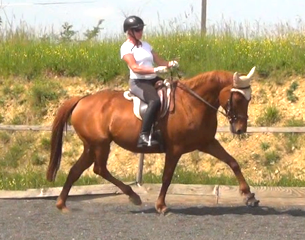 In this position, the rider may well feel like they are harmonizing their seat with the movement, but they are only connecting with the part of the stride which is NOT strong for carrying the rider's weight! 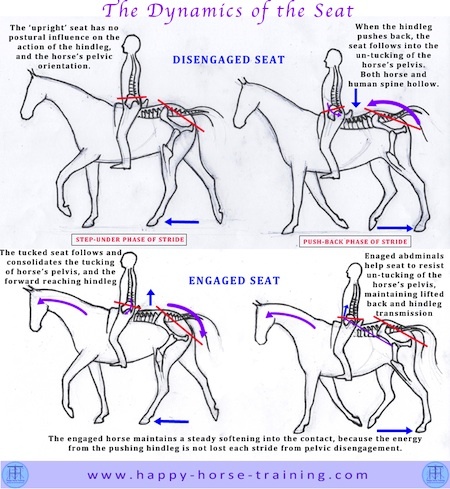 This seat supports the dropping of the horse's back and the disengagement of the haunches, so that the hindlegs are working out behind the main mass of the horse's body, instead of stepping forward underneath it, and carrying weight (compare the hindleg action in the two images's above). The rider certainly has less physical effort to make in this approach to dressage (hence the source of its popularity perhaps), but far from feeling the harmony that the rider might imagine, the horse is burdened with a rider who encumbers his natural center of gravity over the forehand - a centre of gravity which is fine for the horse's own purposes without the rider, but which, with the extra weight of the rider, becomes an unbalanced, uncomfortable and eventually damaging influence - straining the limbs and the spine, and over time making the muscles become stiff to compensate. Characteristic signs of horses working in this way are non-parallel diagonals in trot and trot-based movements, over-developed underneck muscle, under-developed hamstrings and second thigh muscles, slack abdominals, a disengaged (untucked) pelvis and a dipped back (see picture above). Those who are habituated to ride in this way are reassured by the fact that the horse, in this hollow posture, offers less forward movement, and transmits much less movement to the rider's body through the spine - in just the same way as a wave of movement cannot be transmitted through a slack rope by moving one end of it. These riders think, therefore, that they have achieved some kind of desirable stillness in their seat, but in fact it is just a complete lack of transmission of energy from the haunches through the horse's body. Horse's who work in this hollow, disengaged posture (and Iberian horses are particularly prone to this way of going) appear to be able to collect more easily, because they are not really going forwards, i.e. generating and transmitting power from the hindlegs. Once the picture is completed by rounding up the head-carriage by means of a strong bit (often a double bridle or other form of shanked curb bit) or by fiddling hands, from this basis they can be taught to move their legs in the various 'advanced' movements, without ever presenting the rider's seat with much of a postural challenge. There is a paradox at the root of how we connect with the horse that seems to be part of the cause of classical dressage being misled in this way. It is the paradox of being and becoming, and it applies to the way we live our lives as much as the way we ride a horse. Anyone who has studied eastern philosophy or spirituality will know that mastering a state of simply Be-ing in the 'now' or in the present moment, however you wants to describe it, is a central principle of achieving peace, harmony and happiness in ones life. The paradox is, that if we are not already in this 'state of being', then we must accomplish some kind of transformation or change in order to get there, but as long as we are in a state of transformation, we are inevitably removed from being in a state of pure being, one with all that is. 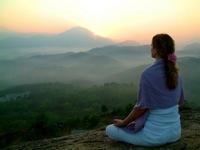 How can a state of change lead to a state of stillness and being? 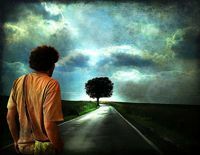 It is a well-known trap, in the path of spirituality, to become stuck in a treadmill of perpetual seeking, setting out on a never-ending journey in order to find 'the truth', and achieving only a state of perpetual dissatisfaction. If one denies the journey, however, then the only solution is to be able to immediately assume the state of mindfulness - being in the now - which, as anyone who has ever tried to meditate (or control their state of mind in any context) will know, is an impossibility. This is what is being attempted by those who subscribe to the way of riding described above, that seeks to follow the horse's natural balance to achieve an immediate state of harmony with the horse. Allowing the horse's movement to put us in the state that corresponds to it, instead of achieving a state of harmony and union, is actually more akin to passively allowing one's mind to wander from one thought to the next, with no discipline or self-control, and it does not result in the achievement of any transcendence of our usual unsatisfied mental state, which equates the the imbalanced state of a horse's natural balance under a rider. The fear of people who ride this way, is that if they start trying to change things about the horse's balance, they will become lost in a state of 'trying' and perpetual effort, just like the spiritual 'seeker' who never finds what they are searching for, and just ends up with more mental tension. Of course, this seems like an abandonment of the goal of achieving a state of harmony and effortlessness with the horse. However, the fact is that achieving the the 'state of grace' in our union with the horse, that is the ideal of dressage riding, just like achieving spiritual fulfillment, is NOT something we can achieve without effort, and without a process of personal transformation. What, then, is the key to creating change without losing sight of our connection with the horse? The solution to the paradox of being and becoming? The key is to know how to first create the right foundation for change, and then proceed through the transformation in definite stages, one being built on the next, until the whole comes together. This is the nature of a spiritual apprenticeship, or indeed any kind of mastery of an extraordinary skill. The first step in our riding connection - the right foundation for transformation - is to create a profound connection with the horse's movement through the seat - one which embraces the horse's movement, without becoming passively drawn into a state of imbalance and lack of potential. This is the first stage in building the position - developing the adhesive seat - and it depends on a particular orientation of the pelvis which does not oppose the flow of the horse's movement in the way the passive seat does, and in the same way as an uncontrolled flow of thoughts opposes our connection with our source. The analogous foundation for the spiritual journey is the cultivation of a state, similar to the adhesive seat, of embracing 'all that is'. It is about heightening our awareness of our thoughts, and everything that influences our perception in our every day lives, so that we can accept the flux of experience, in the same way that the adhesive seat accepts and connects to the flow of the horse's movement. This is not yet the transformation, but it is the foundation which is full of potential for it - like a rich soil in which seeds can grow. From this foundation of connectedness, we can start to become the state that we have chosen to manifest, without losing the connection, which prevents us from losing our way, and straying into endless 'trying'. 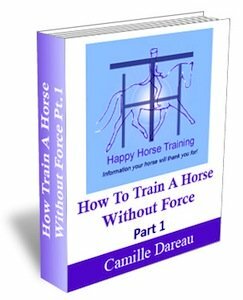 This is how we can start to change the horse's balance WITHOUT introducing tension and force, without creating a separation between us and the horse that entails a 'doing' kind of riding. On the foundation of the adhesive seat, the rider can create the postural framework, in their own body, which resonates with the balanced state we want the horse to come into. 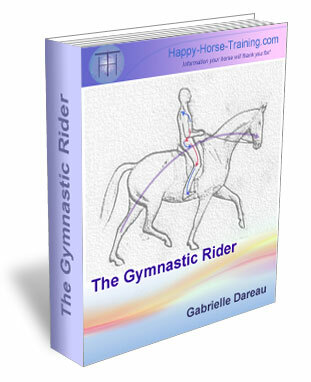 This is why we assume the same postural engagement in our body that we want the horse to correspond to, and when the two systems come together in unity to support each other, there is a kind of liberation, an effortlessness, which means we have started to BE with the horse, in that state of gymnastic grace that we set out to achieve. That's when the real fun begins! In this state it feels like anything is possible, although we somehow always know what is the right thing to do in each moment. When you connect with a horse in engagement, each session is a creative flow, where you follow whatever exercise, whatever interaction with the horse feel is right in each moment, and nothing else matters. When we learn to connect with life in a state of profound acceptance, we connect to the source of 'all that is' - the well of potential that underlies all existence - and this opens a magical door to creativity, where we can start to become what we want to be. 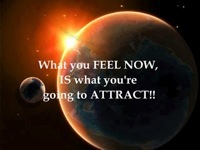 This is the same phenomenon that is referred to as 'the law of attraction': that, from our connection to the potential of the universe, we can creatively manifest in our life whatever we choose, but only when we can become it in ourself first, in the same way as the rider becomes the posture that the horse then flows into. This dynamic couldn't be more different from the kind of passive, 'putting up with life', accepting circumstances the way they are, that is represented by disengaged riding that seeks to hover over the horse's natural balance. There is no potential in this way of living, or riding, because we have already resigned ourselves to the fact that we have no power to change the way things are on any kind of profound energetic level. In this way, it is essentially a fear-based approach to things, where we seek to disconnect ourselves from the potential for change for fear of the challenge involved in change. Of course, the other alternative is the forceful, doing approach, where we set out to make things the way we want them, and this is the equivalent mindset of the harsh riding often seen in competitive dressage. The problem is that this kind of control of circumstances never really gives us what we want, because it doesn't come from cultivating a connection with underlying potential. This is how people can become rich and successful, possessing everything they want, and yet the one thing they really want - inner peace and fulfillment - is missing. Just as in dressage riding, we can get ourselves an amazing horse, force it to do all the movements, be as spectacular as possible, and win as many prizes as you like, but there's no deep fulfillment in the relationship at the end of the day. Real fulfillment comes from the inner transformation that allows us simply to manifest being. It doesn't matter how little that state is apparent to those around us - only those who can identify with it will recognize it.